Beyond 50?Way. I’m in my 60’s and still love to play with makeup, experiment with skin care, and challenge my changing body with diet and exercise. Since I am often asked for advice, and I love to write, this blog is my avenue to share my experiences and discoveries in personal renovation as I trudge toward even older age. What works and what doesn’t, in a nutshell. Writing has been in my blood since college (Univ. of Illinois) where I received a BS (never a more appropriate degree!) in Communications. Fulfilling my wildest dreams, I became a Mademoiselle Guest Editor after graduation, later moving to Houston TX where I pursued a career in Public Relations with the Houston Ballet and freelance writing. After marrying, having two boys and moving East, I became a realtor in suburban Philadelphia and subsequently, in Santa Fe NM. 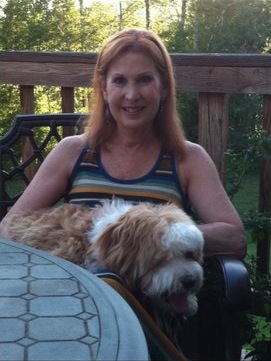 Recently, I moved to CT with hubby #2 and retired from the world of real estate after 25 grueling years of 24/7. Now, I finally have the time to write as well as devote myself to self improvement, as it turns out, a full time job. Looking good so far Zoe! Thanks to your artistic talent! Hi Zoe..Thanks for including me on your list of readers. I look forward to your posts and hope my limited tech skills will enable me to follow you. I have no idea if you are receiving this via e-mail/Facebook/Twitter/Linked In or whatever?? Great blog. Fun to read. I can follow all of your suggestions except the wine part. If I give up my glass of wine (or two) each night, I will definitely whine. And that would not be a pretty sight. I hear ya re: the wine. Sometimes I would rather give up food! But it does metabolize as sugar. So move directly to Stage 2. You will still lose, just not as quickly. Hello Zoe … I love your blog, and would like to run it as a column in our newspaper, Golden Life, a publication for seniors and retirees. We’ve published once a month in Florence, SC. for the past 20 years. Email your address, and I will send you a copy.